The Nevada drivers license course is convenient and affordable, plus it is approved by the state of Nevada to fulfill all of the necessary driver education requirements. This course is approved by the Nevada DMV, and satisfies the 30-hour driver education course requirement. Your completion certificate must be presented to the DMV. This course also includes unlimited DMV practice tests. This course teaches defensive driving, communicating with other drivers, signs and signals, Nevada-specific rules and regulations, driving environments, emergency situations, and the dangers of driving under the influence of alcohol and drugs. Finding out that you need to take a Nevada drivers license course before you can get your permit may not be the best news you have ever received, but it really does not have to that bad anymore. We offer a Nevada drivers license course that is convenient and affordable, plus it is approved by the state of Nevada to fulfill all of the necessary driver education requirements. Since this Nevada driving test prep course is done online, all you need is a computer with a basic internet connection to access it. This is an amazing opportunity that was not available ten years ago, so you are all very lucky to be living in the age of the internet. This Nevada drivers education course consists of eight units and each one deals with a different driver-related issue that you must be educated on before getting your permit or license. The units include an introduction, the driver, the vehicle, the road, basic driving, intermediate driving, advanced driving, and using your vehicle for travel. The introduction covers the rules and regulations in your state while the driver unit talks about impaired driving, being distracted, and how inattention can affect your driving. The next unit, the vehicle deals with basic car maintenance issues as well as your systems control. The road unit teaches what the signs, signals and markings on the road all mean and how to interpret them. The next three units deal with the different stages of driving, different driving conditions and how to communicate on the road. The last unit, using your vehicle for travel tells you how to plan a road trip and things you must do to prepare your vehicle for it. This Nevada drivers license course is designed to allow you to have fun while you satisfy your requirements. 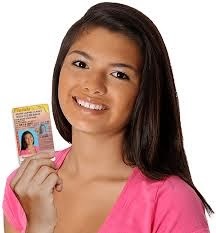 Call or log on today to find out why so many people are getting ready for their Nevada driving test online. A passing score on the final exam – 80% or better – is the last requirement for students of the Nevada Drivers Ed course. The exam is taken online and is made up of 50 multiple-choice questions that are chosen at random from a bank of questions that come right from the course material. If you are unable to pass on your first try, don’t stress out. Retakes are free and unlimited. When you pass the final exam, your driver’s education is complete and your Certificate of Completion will be processed same-day in our office and sent to you.